We've been fighting a nasty virus over here. Nothing serious, just long and drawn out. Of course it always seems like it lasts longer when you have a little one that's sick. It's been almost a week and a half so I hope we are on the mend soon! I do have a fun thrifting find to share today. I came across it when we were in the mountains a few weeks ago. I don't know if we will ever use it, but it was just too pretty to pass up. I mean gold and lucite for $3? I'm sold! $3 well spent, my friend! Love it! I hope everyone is feeling better soon, too...it is so hard when the littles don't feel well. I hope those oils helped! When I saw your post title I thought for sure you pulled off another amazing DIY. It's an equally amazing find! Hope things will look better for your family next week and I totally love the ice bucket. I would have bought it too. Hope you guys feel better, that's a real steal, would have bought that for 10x the price! Dang! I need that!! Great find! Hi! 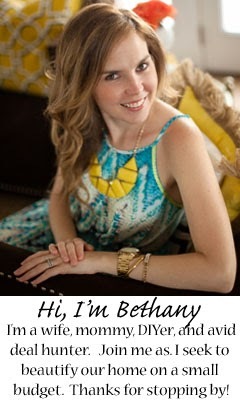 This is the first time I've commented but I've followed your blog for some time now! 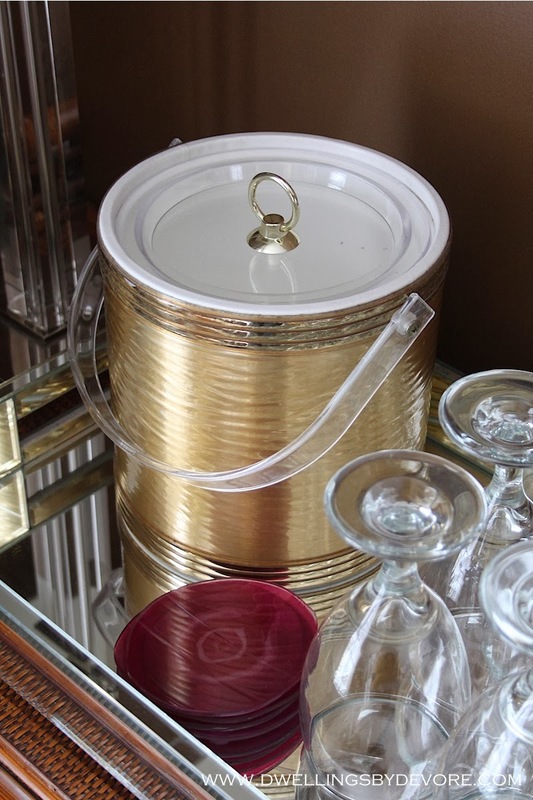 I saw this and had to comment, I found the same ice bucket at Goodwill a couple weeks back and have safely stored it in my big box o' gold/brass/lucite things for when I move out! :) Love it! Hi! I've been following your blog for a while but this is my first comment. I just had to when I saw this! I found the same ice bucket at Goodwill a couple weeks back and it's now safely stored in my big box o' gold/brass/lucite things for when I move out! Love it! that is a steal and it looks great! Hope you all are feeling better soon!! Thanks for commenting :) That's crazy that you found the same one, it's such a great find! One of these would definitely look good on your new bar cart! Thanks so much Vel, we are doing much better! Thanks Julia, we are all finally feeling better! I wish I could make something like this, you can't beat buying it for $3! Thanks! It was too good of a deal to pass up! I bought those Threshold coasters too! I used a gold marker on the sides to dress them up a little. I thought about doing the same thing. Yours look great! I never get this lucky with thrifty finds, love it! And I'm always a fan of agate coasters.